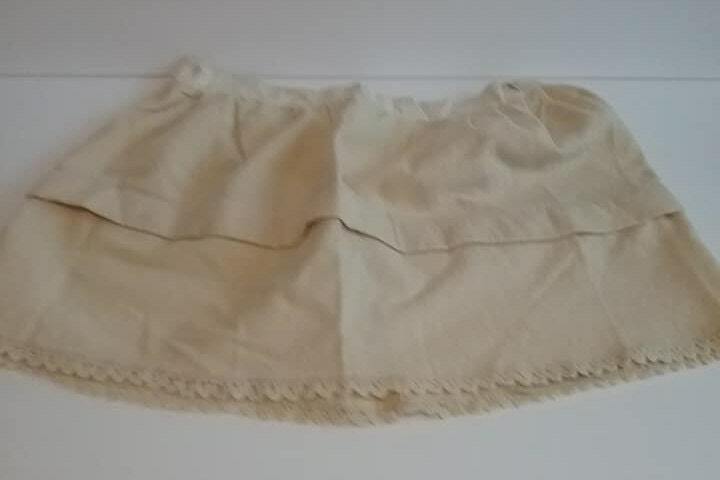 '"Antique Edwardian girl's winter wool petticoat with linen waistband, and crocheted edge. Possibly a child's size 2T. 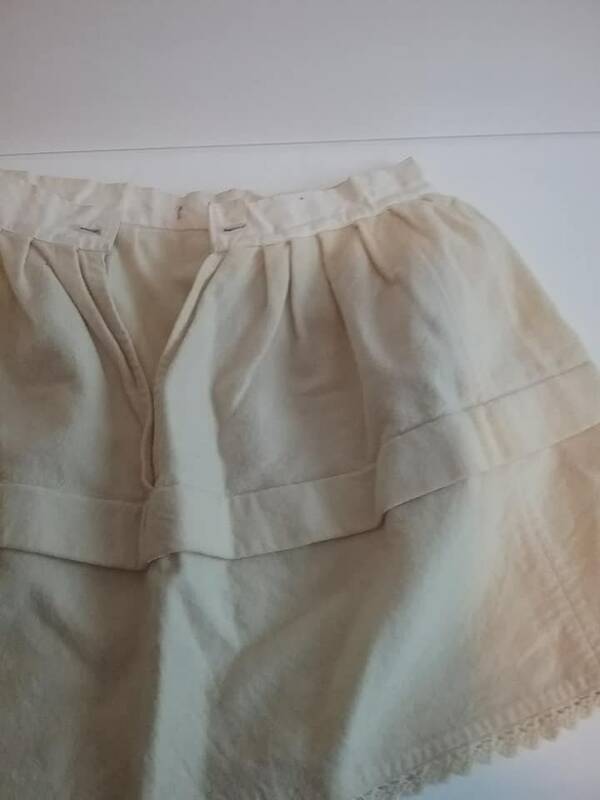 Unbranded,it is around 1910 and is a cream color. There is slight yellowing and a 1/8" hole...otherwise it is in very good condition for a piece 100 years old. 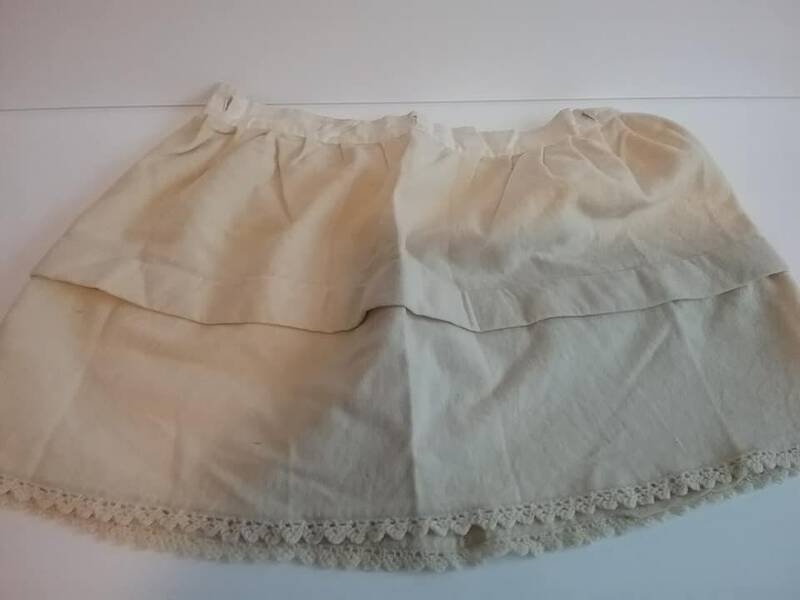 It is a lovely museum display, historical reference, or a study garment. There are 3 vertical buttons and holes across the front, and 2 horizontal at center back. Bottom.5" edging is crocheted. 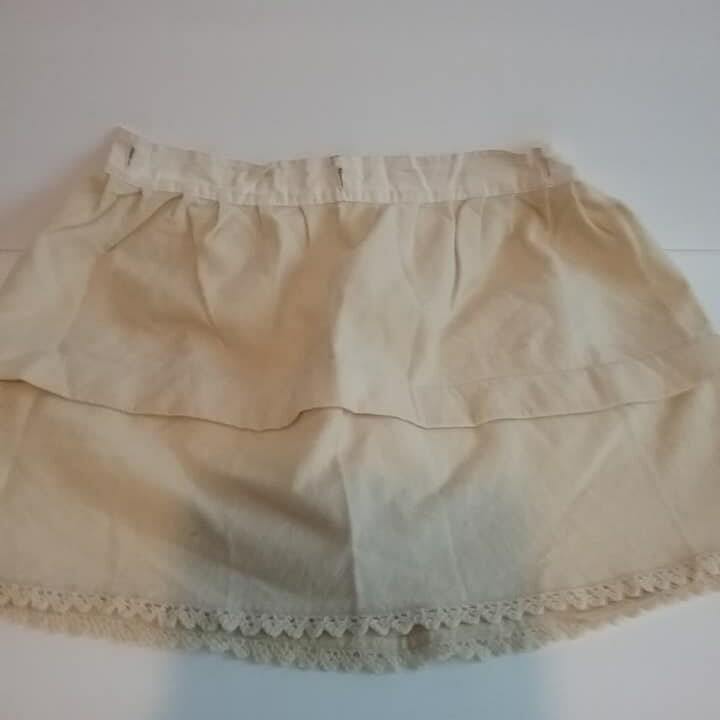 Measuerments lying flat: front waist - 11", front hem - 23", and length 12.5"